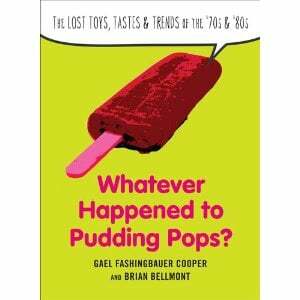 "WHATEVER HAPPENED TO PUDDING POPS?" Tracking "the Lost Toys, Tastes & Trends of the '70s and '80s," this book reminisces on 100-plus items of Gen X-ers' past, including updates on what's still around: Wacky Packages, Trapper Keepers, Munchos Potato Crisps and Loves Baby Soft. The same can't be said for Pepsi Light, the Ice Capades and Dynamite Magazine. I'm always looking for good free apps for my Android phone. Recently, Amazon opened an app store, and they have an array of free apps just like in the Android Market. But every day, Amazon makes one of the paid apps free. Many are inexpensive games, but some are more expensive. It's something I check out daily. For those of you who aren't familiar with Greg Pattillo, he's a professionally trained flutist (Julliard maybe?) who lives in a New York music collective. He beatboxes while playing the flute. It is fantastic. Also, he's on my list of potential husbands. So, you should get to know him. Here's a sample: youtube.com/watch?v=crfrKqFp0Zg. Enjoy. Dean Martin always has been one of my favorite singers - and actors. That's why I can't wait to get my hands on "Cool Then, Cool Now," a 60-page hardcover book and two-CD collection that was released Tuesday. (Note to son and daughter: My birthday is next month.) The book contains photos from the late singer's family archives, including those of Dino in the studio, with his family and from movie sets, including "The Caddy," "Rio Bravo" (I could watch this over and over and never get tired of it) and "Oceans 11." The book also features tributes from former co-star Jerry Lewis, Shirley MacLaine, golfer Arnold Palmer and others. The CDs feature 28 songs, including his theme song, "Everybody Loves Somebody," "Ain't That A Kick In The Head" from "Ocean's 11," "That's Amore," "Volare," "Sway," "Memories Are Made Of This" and my personal favorite, "Little Ole Wine Drinker Me." The collection retails for less than $50. I'd say it is a must for any fan of, in my opinion, the coolest member of The Rat Pack. Editor's note: In conjunction with the new format of this Saturday section, we've decided to add several new features, one of which is "What We're Into," a compilation of tips from members of the Quad-City Times newsroom staff about what they're doing in their spare time. It could be anything from books and TV shows to the latest in video games and smartphone apps. Some of it will be hip and some of it will be retro.